Over the next few days, i’ll be seeing so many friends and family over cocktails, festive dinners, and christmas celebrations. At this time of year, everything is over indulgent, and that absolutely includes my perfume of choice! The Creed Iris Tubereuse is my Special Occasion perfume, I wear it only on evenings when I want my fragrance to be outstandingly opulent and classic. Creed is a fragrance brand probably slightly more known for their men’s cologne’s, one of my favourite’s being Green Irish Tweed, but their women’s offering has some serious contenders. Iris Tubereuse has some notes which bring back lots of memories for me, including violet leaf, orange, lily of the valley and vanilla orchid. 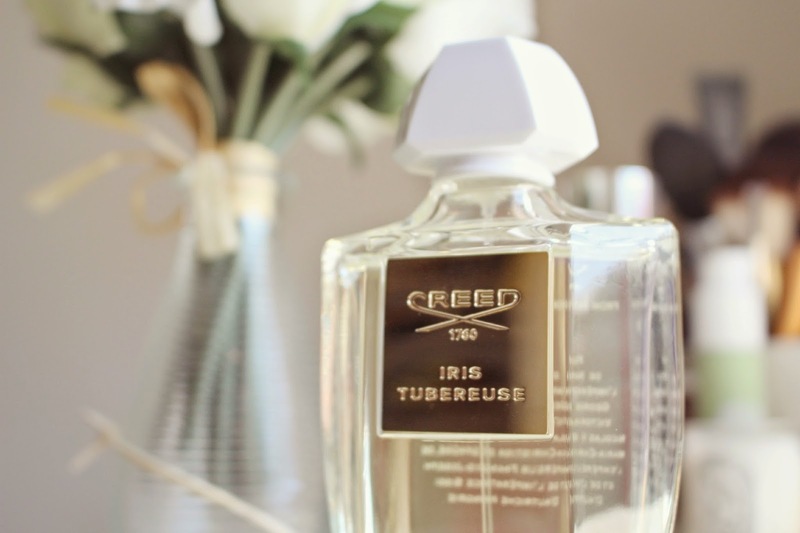 Creed also always present their perfumes in the most beautiful bottles. Partnering with Pochet de Courval, a luxury French glass bottle maker, the chunky glass pottle takes pride of place on my dressing table. Although I would describe it mainly as a summer scent, the cheery floral fragrance is also very warming; it would be my perfume recommendation for a Winter wedding for its elegant scent, and long lasting power. You need only a couple of spritzes of this perfume, and the bottle contains 100ml of the fragrance, which makes the £165 price tag a little less scary. 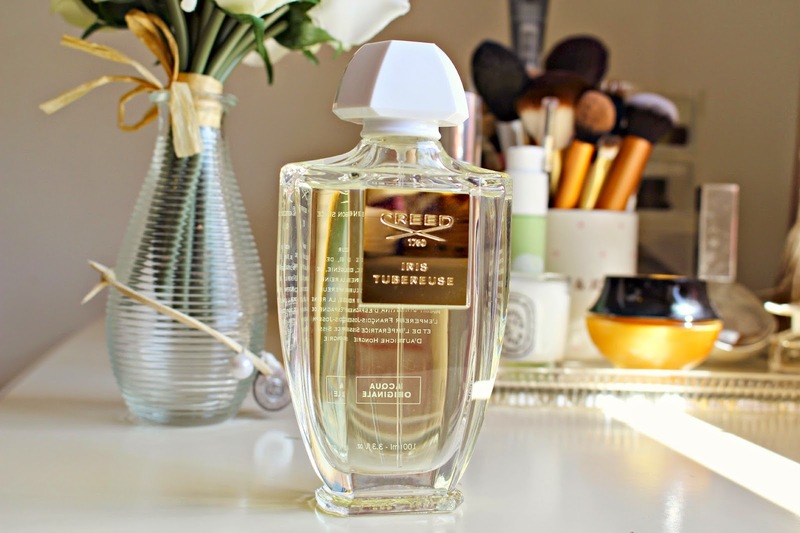 This is a perfume for special occasions, so if you are looking to splash out for a truly lovely fragrance, definitely give Creed Iris Tubereuse a try. You can purchase it from John Lewis here. What’s your special occasion fragrance?